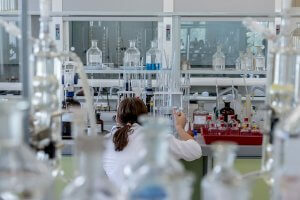 Aldehydes and perfumery are bonded symbiotically and there is hardly a fragrance in the world that exists without them. 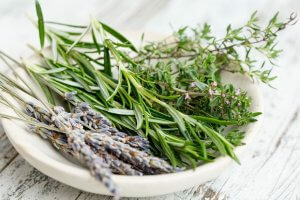 These organic compounds are present in many natural materials, such as rose, vanilla orange rind, pine essence, citronella and cinnamon essential oils, and are the reason they are so pleasant smelling. They can also be reproduced synthetically in a laboratory. These fragrant amalgams contain what is known as a formyl group, which is part of a molecule with a specific structure (R-CHO) in organic chemistry. Aldehydes are the result of partial oxidation and the moniker given to them is often derived from the name of the acid it forms. They are used in the manufacture of synthetic resins and for the creation of dyestuffs, flavorings, perfumes, and other chemicals. Some are utilized as preservatives and disinfectants. These composites incorporate a carbonyl functional group (C=0) and the carbon atom that is part of this group has two remaining bonds that can either contain some atoms that are hydrogen or an alkyl (hydrocarbon group). If at least one of these groups is hydrogen, the compound is an aldehyde. If neither is hydrogen, the compound in question is known as a ketone, which also has a pleasant odor and is frequently found in musky perfumes and colognes as well as food flavorings. Our masters perfumers are well aware of the fragrant majesty rendered by aldehydes and they utilize them often in varying amounts. These organic compounds vary in smell. Those with a lower molecular weight really stink, resembling the malodors of rotting fruit. Those with a higher molecular weight on the other hand, often have very pleasant aromas. The aldehydes used by perfumers are known as aliphatic, or “fatty,” and their scents can range from soapy to metallic, waxy to starchy and green to citrus (that elusive lemony scent in soaps and detergents). 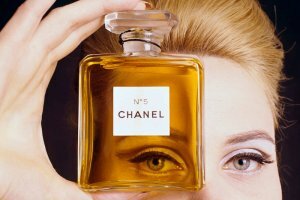 It is often believed that the fragrance, Chanel No.5, which was created in 1921, was the very first aldehyde scent ever made. This is no more true, however, than the myth that Christopher Columbus was the first European to set foot in the New World back in 1492. (The Vikings, Amerigo Vespucci and others preceded him.) It was Coco Chanel’s clever marketing that popularized the use of these precious compounds in her iconic scent and it sparked a revolution in the art of perfumery. Technically, these chemical composites made their formal debut in 1905 when perfumer, Louis Armingeat, created Rêve D’Or(Golden Dream). In 1906, the fragrance, Apres L’Ondee, was introduced as the first to use Anisic Aldehyde, which is widely used today in many floral accords such as lilac, hawthorn, anise and honeysuckle. Chanel No.5 may well have been a propitious mistake, for as the story goes, Ernest Beaux, who was Coco Chanel’s perfumer, mistakenly added more aldehydes than she requested (almost 1%), but she loved the resulting overdose and it thus became part of her coveted formula. Her intention was to create a perfume that was the smell of a woman rather than flowers. She once said: “Women do not want to smell of a bed of roses.” She went on to create Chanel No.22,which also contained a bunch of fatty aldehydes (C10, C11 and C12) that blended to create a citrus and floral note with a soapy quality. Many other perfumers followed suit with such classics as Lanvin’s Arpege, Lagerfeld’s Femme, Elizabeth Taylor White Diamonds and Estee Lauder’s White Linen, just to name a very few. While aromatic aldehydes have very complicated chemical structures, their smell helps to easily identify them. An aromatic aldehyde is defined as an amalgam containing the CHO radical, such as benzaldehyde, which has an odor profile reminiscent of almonds. Generally speaking, these chemical compounds provide a soapy-waxy-lemony-floral touch to a perfume formula. This compound renders a sharp, herbal and green aroma reminiscent of the fresh outdoors. Breezes waft through the mind’s eye filled with the scent of flowers such as jasmine, rose, iris and lily-of-the-valley. This is an octanal compound, which means it is an aledehyde with the specific chemical formula CH3 (CH2)6CHO.This colorless, fragrant liquid with a fruit-like odor occurs naturally in citrus oils.Strongly suggestive of oranges and waxy citrus orange peel, this amalgam is a powerful fatty compound often found in lemon fragrances. This complex compound is also known as a nonanal, which is a clear brown liquid characterized by a rose-orange odor that isinsoluble in water and found in at least 20 essential oils. It is warm and mostly floral (rose and jasmine) with a waxy-cucumber nuance that in the right formulation can render a fragrance very fresh and clean. It is used extensively and carefully in perfume formulas in combination with other aldehydes. When higher levels are utilized, it is an important component in both citrus and rose notes, while in trace amounts, it adds to a wide array of fragrance types. This 11-carbon aldehyde is complex, clean and naturally present in coriander leaf oil. Its chemical formula is C10H21CHO and its one-of-a-kind makeup conveys a bitter and fresh effect in formulations of colognes. The odor profile is pleasant, and comprised of slightly citrus (orange), fatty and waxy-floral (rose) elements. This amalgam retains the chemical formula CH₃(CH₂)₁₀CHO. It is a colorless liquid that appears in many fragrances and occurs naturally in citrus oils. It is known for its intensity and differs from others of its ilk as it takes on different qualities depending on how it is used. In high concentrations, its odor profile is sweaty and metallic, but when it is diluted, floral (lilacs or violets) and herbaceous qualities come to light (and to nose). This organic compound also enhances the effects of musk in a scent. Aldehyde c-12mna =2-Methylundecanal is an organic compound that is found naturally in kumquat peel oil. It’s scent is orange, herbaceous and ambergris-like. At high dilution it tastes a bit like nuts and honey. It is a colorless or pale yellow and is often used as a component in soaps, detergents, and perfumes. Containing 13 carbon atoms with molecular formula C13H8ClFO, the odor profile of this aldehyde can be described as fresh, clean, soapy, citrus, waxy grapefruit peel. Its purpose is to provide watery, citrus, and floral notes to many diverse types of fragrances. This flavorful amalgam is commonly known as the peach aldehyde, although technically it falls into the category of a lactone. (This is an organic compound containing an ester, which is a composite derived from a carboxylic acid and an alcohol. )It has a sweet, fruity peach odor profile and is widely used in perfume compositions, albeit in small amounts, as it is a very powerful compound. Our highly skilled perfumers know how to harness the power of aldehydes for use in their many fragrance compositions. We have been creating fine perfumes for decades. Our painstakingly developed formulations are utilized in premium perfumes, personal care products, candles and diffusers, fragrances for home products and our odor neutralizers for those that use the services of private label manufacturers, custom packaging companies and toll blending (the specialty service of custom mixing a company’s unique formula into a final product). We’re in a unique position as both a leader and a pioneer within the perfume industry. Aldehydes have long been integral ingredients in their many unique seasonal blends. Some of their more popular ones are below. They include: formulations for autumn, winter and the holiday season, and spring and summer, with all of the nuances associated with renewal and floral splendor. Like a summer night in the tropics, this summer scent is sweet, sultry and intoxicating. The top note of green, sparkling lemon and mild, spicy bergamot is followed by a fragrant floral heart comprised of delicate white bud tea leaf, seductive and rich jasmine petal, and intensely creamy and rich gardenia, aromatic violet and herbaceous thyme. A woodsy clean, sugary white musk base note completes the fragrance. Sparkling blue waters, gentle summer winds and cozy brick cottages nestled in the lush, serene English countryside characterize this green floral scent. Enticing notes of sweet, earthy, star anise, fresh basil, grassy parsley, aromatic wild flowers, fresh garden greens and a woodsy, sensual musk base note comprise this complex aroma. Top notes of woodsy and floral qualities and a tinge of clean, fresh air floating over a fragrant emerald lagoon introduce this haunting scent that blends into a complex heart note comprised of aromatic night blooming jasmine, deep green mosses that capture the elusive essence of the forest primeval in spring and early summer and intoxicating Egyptian blue lotus. The aroma finishes with a warm, sensual ambery-musky, cedar base note. Autumn and the holidays invoke rich imagery and particular associative scents that we can all identify and connect with; pumpkin pie, the woodsy pine of a freshly cut Christmas tree and the warmth of a crackling fireplace are prime examples. Below are a few scents the masters at Alpha Aromatics have created to capture the essence of this joyous time of year. A complex autumnal fragrance rendered from spicy cinnamon and clove, fruity apple and smooth nutmeg, this scent is evocative of childhood trick or treat and Halloween parties, mouth-watering holiday pies baking in the oven and cherished family times. 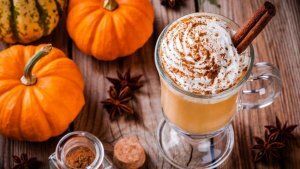 Retail stores catering to men’s clothing and accessories are well aware that pumpkin is a favored scent among men and often incorporate it into their seasonal branding strategy. Thanksgiving warmth, the sweet smells of apples, cranberries and home-made pies and cookies all loom in the mind’s eye of everyone who inhales this strong, woodsy scent named after the horn of plenty. This symbol, perhaps more than any other, epitomizes autumn, harvest and cherished family times. The multitude of aromas associated with autumn appeals to both males and females and they include: sweet, spicy cinnamon, clove, juicy ripe berries and slightly musty dried autumn leaves. Savvy retailers enhance the consumer shopping experience with this fragrance wafting through stores featuring fall and winter clothing and also where home goods, such as holiday novelties, decorations, and household items are sold. There is nothing more evocative of childhood and the Christmas season than the spicy, sweet, cinnamon, vanilla, clove and molasses blend known as gingerbread. Whether it is a gingerbread house, cookies or other holiday-related goodies, Christmas dazzle, wonder and joy reflect in every scrumptious bite. At holiday time, this scent works very well in stores offering toys, kitchen supplies and children’s clothing, and in cafés and coffee houses. Inescapably feminine and suggestive of serenity and contentment, this tart, sweet, fruity vanilla and jasmine scented fragrance creates a potent ambiance in stores featuring women’s intimate apparel, sleepwear, both fine and costume jewelry, lingerie and cosmetics. Thoughts of happy times past immediately connect to the classic poem, The Night Before Christmas and Clement Moore’s immortal sentence: The children were nestled all snug in their beds while visions of sugar plums danced in their heads. This redolent mixture of refreshing natural pine mingled with a sweet, peppery, delicately refined and soft base note of balsam has a soothing and warm character. It evokes particularly feelings of warmth and comfort. The mind’s eye (and nose) recalls Christmas trees and sleigh rides and happy times by a fireside or even in a small apartment among special friends or family. For a retailer, this scent fares well in the rest areas of shopping malls where consumers pause with all their packages in between rushed spending sprees. It’s calming qualities can also be very effective in hospital waiting rooms and lobbies, doctors’ offices, therapists and/or other service professionals. Aldehydes and perfume are inseparable partners cemented by their intrinsic, symbiotic properties. The complexity of perfumes renders each formulation a unique work of art developed with the utmost care and specificity. The balance and artful application of aldehydes makes them essential in some form to every fragrance under the sun. So if you’re perfumery brand owner or manager, purchasing manager, business development manager, brand coordinator, product developer, cosmetic scientist, packaging technologist, senior chemist, formulator or simply an entrepreneur looking to launch your first your own perfume line, submit an inquiry or call to speak with our team for the creation of your company’s unique signature blend replete with elements designed especially for your customer base! This article was created with the insight, direction and approval of our chief perfumer, Roger Howell and the Alpha perfumery management and staff. Learn more about Mr. Howell, our company’s mission and the passion behind our every fragrance creation.